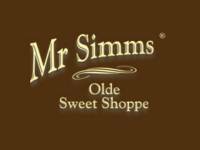 Since our very first Mr Simms Olde Sweet Shoppe opened in Leek back in September 2004, in the heart of the Staffordshire Moorlands, the Mr Simms Olde Sweet Shoppe Franchise has grown amazingly. With over 100 of our quaint Victorian style stores now open Worldwide, the Mr Simms sweet shop phenomenon is still growing. Whether you want to improve your performance with the latest sports nutrition products, to help with dieting and weight loss or stock up on vitamins with our 3 for 2 offer* including selected Imedeen, Boots has just what you need. 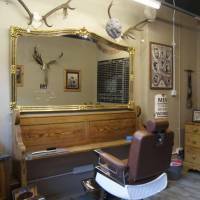 We've got some fantastic products to help you look good and feel confident too. We serve authentic Thai food cooked fresh to order in the heart of Penrith. We’re a small family team and pride our selves on friendly service and bringing the very best Thai Food to the UK. Thai Food Cafe is open 6 days a week for lunches, afternoon light bites, dinner or takeaway – 11:00 – 21:00. 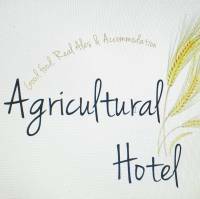 The Agricultural Hotel is a family run business with a warm and friendly atmosphere. We are well renowned for our real ales and we can be found in the good beer guide. With a brand new refurbishment in 2018 we look forward to welcoming you very soon. We offer an unparalleled choice of products designed for today's living and every day kitchen. Presenting a variety of cooking, baking, preparation, serving and bar items, we strive to provide constant freshness to our product offer. Dappers Bar is located in the George Hotel and is a modern, vibrant bar where you can feast on food throughout the day and night whether you wish to enjoy light lunches, tapas or something more substantial. 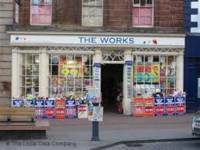 It's also the perfect place for morning coffees, a swift pint or a few cocktails. 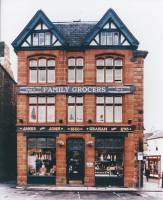 At the gateway to the Lake District Graham's traditional shop is situated in Penrith's Market Square, the current building dates back to 1880 and it is here J&J Graham's hampers are prepared to order. Graham's has an artisan bakery within where the chef, Alan Potter and his team bake bread, scones, pies, soup, quiches & honey glazed ham every day. In 1903, Montague Burton was only 18 years old when he borrowed £100 from a relative to open the Cross-Tailoring Company in Chesterfield. "Good clothes develop a man's self-respect," was one of Burton's insights. He was dedicated to providing high quality made-to-measure suits at a reasonable price, revolutionizing the industry with his promise of "A five guinea suit for 55 shillings. 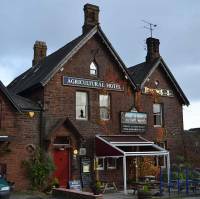 We are a family run pub hotel located in Penrith close to the Lake District. We offer a great selection of meals and real ales. We are a child friendly pub. Warm friendly traditional pub/hotel which is famous for being the first cattle market to parade live stock in a ring. With a Vidal Sassoon training background and 22 years experience, Greg Malloy is a vastly experienced stylist who knows what it takes to please his clients. His teams are expertly trained and come highly commended. 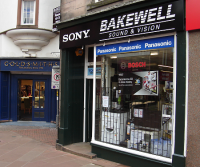 Our business is all about working with people, presenting houses at their best and achieving great deals. Through partnership with our clients we seek to minimise the anxiety and stress which accompanies moving house.